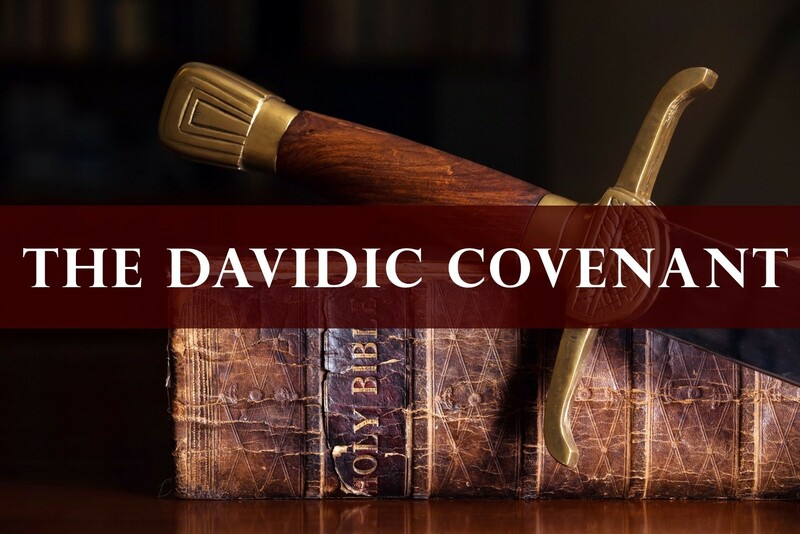 David eventually brought the Ark of the Covenant from the house of Obed-Edom to the City of David. 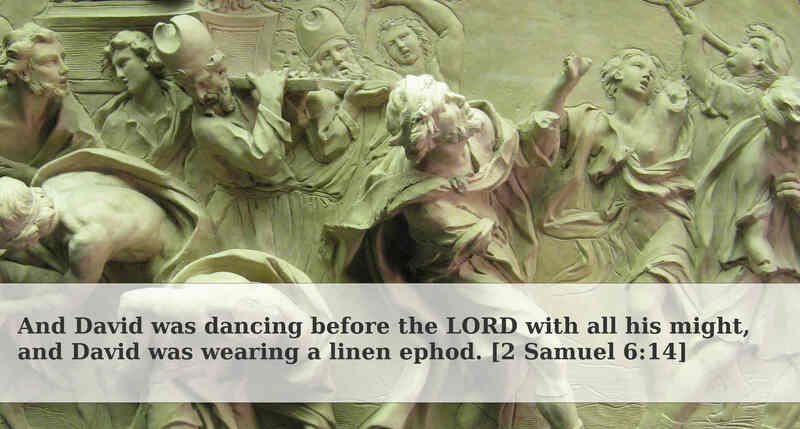 He danced before the Lord while all celebrated. Michal did not like her husband. David put the Ark in the tent and offered sacrifices to God. David blessed the people and fed them. When David returned home after bringing the Ark up to bless his household, he was condemned by Michal for his behavior. David reminded Michal God chose him to rule Israel, and he will celebrate the Lord and be even more humbled before God. As punishment, Michal had no children. David prepares a place for the Ark of the Covenant before moving it this time. He forbade anyone but the Levites to carry it this time. The Levites consecrated themselves and brought up the Ark of God has He had commanded using poles. There was much singing and celebrating and sacrificing as the Ark was transported and upon its arrival in Jerusalem. David joined in the celebrations. Michal despised him in her heart because of this. David put the Ark of God in the prepared tent and sacrifices were offered. David blessed the people and fed them. He appointed Levites to minister before the Ark, to praise God, and give Him thanks. David sings a psalm of thanks to God. David left many Levites to minister before the Ark and in the tabernacle of the Lord in Gibeon (the old tent that housed the Ark). 12) Part personal Question. My answer: David prepares a place for the Ark of the Covenant before moving it this time. He forbade anyone but the Levites to carry it this time. The Levites consecrated themselves and brought up the Ark of God has He had commanded using poles. There was much singing and celebrating and sacrificing as the Ark was transported and upon its arrival in Jerusalem. David joined in the celebrations and danced before God. Michal despised him in her heart because of this. This was not a spur-of-the-moment decision. This time around David prepares ahead of time for the Ark, follows all of God’s rules for moving the Ark and having the Levites do it all, praises God for his goodness and faithfulness, and attends to the Ark after it has been moved. I learn God desires us to follow His rules just as much as He desires the act be done. God does not reward shortcuts in worshipping and obeying Him. 13) Part personal Question. My answer: David joined in the celebrations and danced before God. 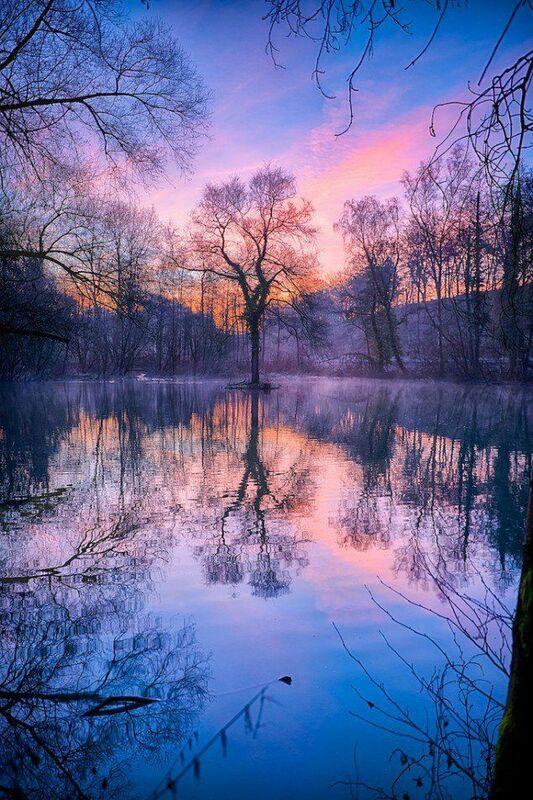 He sang God a psalm of praise, thanking Him for all He has done and all He will do. Everything in my life. I celebrate Him, give Him praise for all I do, and thank Him. 14) Part personal Question. My answer: Michael despised David in her heart for his celebrations before the Lord, deeming them inappropriate. 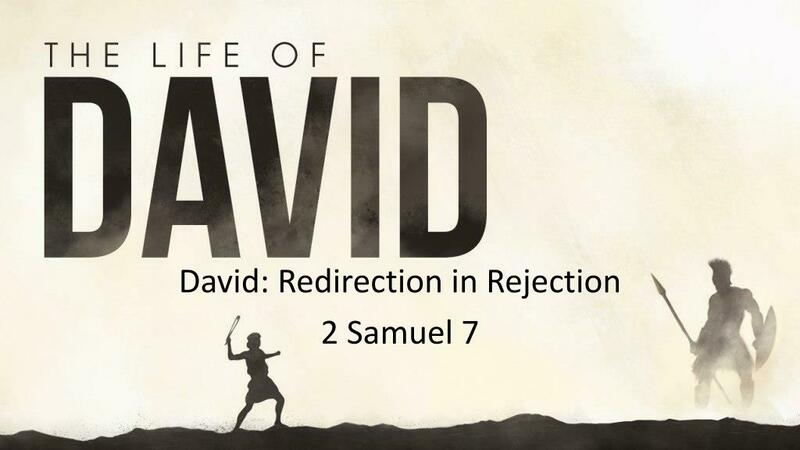 David responds by saying He celebrated before the Lord who chose him to lead all of Israel. He will become even more undignified and more humiliating to celebrate God. I love David’s response how he’ll do what he wants to celebrate God without worrying what others think of him. This is a lesson we all can apply in our lives. My favorite part was David dancing before the Lord, David telling Michal he didn’t care what she thought about his praising of God, and Michal being duly punished. In the second attempt to bring the Ark of the Covenant to Jerusalem, we see that when worship is according to God, it’s filled with gladness and joy. “Real” worship does not have to be subdued, solemn, or only in a minor key. Why all the sacrifices for the Ark of the Covenant? David didn’t hold back anything in his own expression of worship. He didn’t dance out of obligation but out of heartfelt worship. Emotions need not be repressed when celebrating and worshipping God. Why was David wearing an Ephod? It is a mistake to think that David was immodest. 1 Chronicles 15:27 indicates that David was dressed just like all the other priests and Levites in this procession. From our knowledge of ancient and modern culture, David’s dance wasn’t a solo performance. He probably danced with simple rhythmic steps together with other men in the way one might see Orthodox Jewish men today dance. In this context, David’s linen ephod means he set aside his royal robes and dressed just like everyone else in the procession. What was Michal’s problem with David’s celebrations? Michal felt it wasn’t dignified for the King of Israel to express his emotions before God in such a way. Michal felt David shouldn’t have worn an ephod like everyone else. After all, he’s the king. Shouldn’t he dress like one? David’s dancing was for God, not Michal, and he told her so. There is often barrenness in the life and ministry of the overly critical.
. 1 Chronicles 15:11-15 shows us that David specifically commanded the priests to carry the ark the right way – on their shoulders. We often think that a “new cart” or “strength” or a “friendly” manner is the way to bring the presence and glory of God. But God always wants His presence and glory to come on the shoulders of consecrated, obedient, praising men and women. The emblem of God’s presence and glory was set at its proper place in Israel. These sacrifices were an important part of the ceremony, neglected in the first attempt to bring the ark of the covenant to Jerusalem. How can we remember what God does for us? Make an actual record of what God has done, keeping a written journal. Be sure to praise God thoroughly at the time you receive His goodness. Set apart time for meditation on the good things God has done. Talk about His mercy often to other people. Use everything around you as reminders to the goodness of God. Remember your blessings and who gave them to you. David though the Levites had appointed Heman as the leader of worship (1 Chronicles 15:17), at this time David elevated Asaph to this position. David was known as sweet psalmist of Israel (2 Samuel 23:1), and he specially wrote the following psalm to thank the LORD on the day the ark of the covenant was brought to Jerusalem. Like many psalms, this one begins with a call to praise, virtually in the form of a commandment. David lists a remarkable number of ways (at least eight) one can praise and glorify God. As will be noted later in the psalm, all creation has a responsibility to praise its Creator; but this is the special responsibility of God’s people. David will soon begin to sing about the special relationship between the LORD and His covenant people. In this we see that this portion of the psalm is largely meant for teaching. 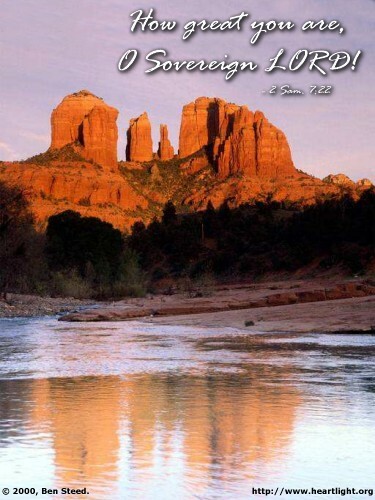 God protects His people when they were out of the Promised Land. What covenants did God make with man? God made a covenant with Abraham regarding a land, a nation, and a particular messianic blessing (Genesis 12:1-3). God made a covenant with Israel as a nation, regarding a law, sacrifice, and choice of blessing or cursing (Exodus 19:5-8). God made a covenant with David regarding the specific lineage of the Messiah (2 Samuel 7). God made a covenant with all who would believe on His Son, the New Covenant through Jesus Christ (Luke 22:20). God’s covenant people have a special responsibility to praise Him, but all the earth should also proclaim the good news of His salvation day to day. David is back to imploring the Israelites to tell everyone of the greatness of God, and His superiority above all gods. This reminds us that the center of sacrifice was still at the tabernacle’s altar at Gibeon. Worship would be divided between the ark at Jerusalem and the altar at Gibeon.